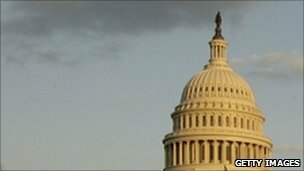 The US Senate has backed a bill that will establish a $30bn (£19.5bn) fund for small businesses. President Obama’s Democrats won a 61-38 vote to pass the legislation, with backing from two Republicans. The measure is designed to help open up lending for small businesses, cut their taxes and boost Small Business Administration loan programmes. The new loan fund would be available to community banks to encourage lending to small businesses. Supporters say banks should be able to use the fund to access up to $300bn in loans.